Cloud hosting has come a long way over the years, but one thing that has always stood in the way of adoption is an untrustworthy attitude towards security. Even now in 2017, a report by McAfee and Intel has shown that 77% of organisations still don’t completely trust the cloud to keep their data secure. 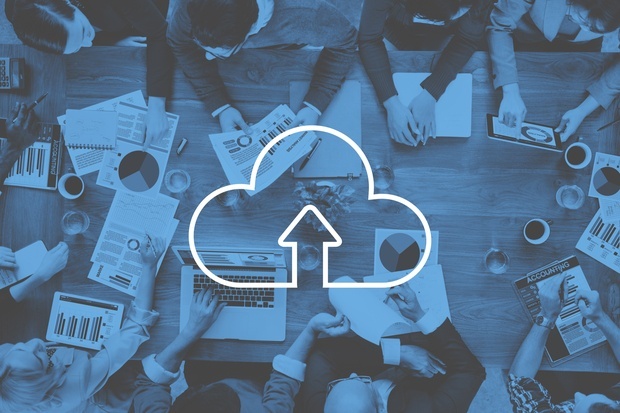 In this blog, we look at some of the most persistent myths about cloud hosting security, as well as why you shouldn’t let them hold back your small business’ cloud adoption. The whir of your on-premises server may have faded into nothing but background noise and whilst the ability to see and touch your server may be comforting, it can lure you into a false and dangerous sense of security. The reality is that your data is far more vulnerable on-premises than it would be in a professionally maintained data centre. Organisations shouldn’t forget that cloud server hosting providers have the economies of scale to invest in the very best-in-class security controls and that their data centres will normally be independently audited to adhere to various standards and accreditations. The rising competition between providers, alongside the importance of reputation, means that it’s within a cloud hosting provider’s own interest to maintain an exceptionally high level of security. The argument against this myth is simple: if you’re concerned about data sovereignty, you should simply choose a cloud provider that can offer you the level of control you want when it comes to data centre location. This shouldn’t be too difficult, either – the best UK cloud hosting providers should already understand the need for visibility around data centre location on account of laws and regulations like the upcoming GDPR. It’s true that not all data centres will be compliant with industry-specific regulations like PCI-DSS, but many providers have taken the time to research, understand and invest in compliance as a way to serve clients in industries like financial services and ecommerce. Of course, if you’re really concerned about the implications of working with a particular cloud provider from a regulatory standpoint, you should review any formal accreditations and take the time to understand how the vendor’s data centres have been audited for total peace of mind. In fact, sharing your environment with others may actually present unique collaboration opportunities. This has certainly been the case at TeleData, where tenants often work together for increased network availability, capacity and lower costs. Instead of being thought of as an environment for increased risk and wariness, it’s an ecosystem for opportunity and growth. It’s a human tendency to fear loss - which is why fears about losing ownership of your data in the event that your cloud provider goes out of business or your contract comes to an end are almost natural. The truth is, however, that most cloud hosting providers will state specifically that you retain complete control over your data and you have the ability to remove it from the cloud at any time you wish. This makes sense – it is your data, after all. That said, as with any supplier relationship, you should expect a lot of headaches if your cloud provider does go out of business – which is why it’s important to choose one that can demonstrate a reasonable level of financial stability. If you’re an SME or start-up navigating your way through a world of cloud hosting myths and confusion, download our specialist guide – it’s guaranteed to help you choose a provider with failsafe security.